Summertime sales are rolling merrily along. 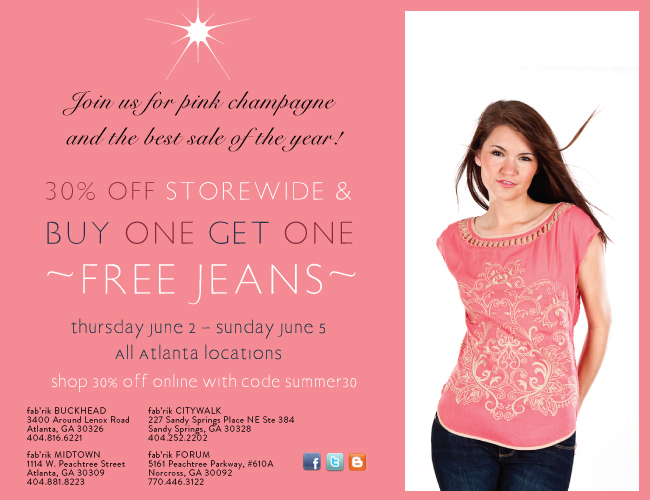 This weekend, sip pink champagne and get 30% off at all four Fab’rik locations in Atlanta. Bonus: jeans are buy one, get one free (and if you can stand to wear jeans in this heat, more power to you).